Are you seeing results, do you need to be pushed a little harder, do you need to be challenged, are you training for a sport, do you need someone to hold you accountable, do you need assistance with nutrition or someone to manage your progress? There are many things a personal trainer can do, almost anyone can benefit from hiring one. Or do you want to go to another level and compete and you require some serious coaching? Some clients just want to know how to get the best out of the gymnasium. Others may have a specific injury or condition and require assistance during rehabilitation. Gain a greater understanding as to how muscles react under various reps, sets or intensity. Understand how important it is to mix up your training. A personal trainer can give you the motivation you need to kick start your strength and fitness journey. We guarantee that with the right program, diet and your buy in then we will achieve the results you are after. I have been working in the Fitness Industry for 7 years and have been Fitness Coaching for 6 Years. Prior to becoming a Personal trainer, I was a 120kg, very overweight, wine consultant. I was a pack a day smoker making horrible decisions with Alcohol and Nutrition. I turned my health and fitness around losing 37kgs from my heaviest to my lightest. I have walked the walk and have been through my own fitness Journey and now I want to help you achieve your health, strength and fitness goals. Arnie says, to succeed you must have five traits: 1) Have a vision (clearly see where you want to be) 2) Never think small 3) Ignore the naysayers 4)Work hard, no pain, no gain! 5) Give something back. If you see me in the gym, please don’t hesitate to ask for advice or a spot or even just to have a chat. I do love a chat! In 2012 Coby and his team launched a Corporate Wellness Program that is designed around helping business owners, CEO’s and mangers have happier, healthier employees, which will than have a major effect on their business through increase sales, decreased absenteeism and staff turnover and overall morale…just to name a few. So far we have impacted thousands of people and we are aiming to keep impacting thousands more. At the core of all this I just love helping people. Coby has been in the health and fitness industry for many years and has seen all the highs and lows that gymnasiums offer. Coby’s vision was to take the best of what he has seen and experienced in a gymnasium and create his ideal health and fitness facility. That vision is now a reality in Impact Strength and Fitness. Mike has always considered himself an Athlete. From being a high school athletic champion, 10 years playing rugby league and softball to a passion for martial arts including TKD, Goju Ryu and competing in Muay thai. Today Mike is passionate about coaching and training athletes reach their full potential. Over the last couple of years Mike has been working with a select few athletes and clients all over Australia and NZ. Mike is approachable and very will to help anyone with advice or assistance in the gym or those wishing assistance in reaching goals. Naomi doesn’t just talk the talk, Naomi actively competes. Competing in the Bikini Division of the sport she has won a Queensland State Title and an Australian National Title with the IFBB. In 2018 Naomi placed third at the Arnold Sports Festival in Melbourne. Competing has taught Naomi a lot about the art of training, the correct nutrition and discipline required to achieve goals! Although a lot of Naomi’s clients come to her with physical goals – goals set to transform their bodies Naomi knows it’s the mental changes that you make through exercise and working together that will truly change her client’s lives. Naomi is incredibly passionate about sharing her knowledge of health and fitness and wants to help inspire, empower and guide females on their journeys to a healthy and happy lifestyle. With Naomi’s female specific training programs, such as her highly successful Plump Your Peach Program, Naomi aims to increase self-confidence and help create a maintainable lifestyle. Naomi’s training will increase your muscle tone, firm and shape your body. Scott Drogemuller has been in the fitness industry for 15 years and is a qualified trainer and strength and conditioning coach. Originally Scott had his personal training business in country south Australia and made the move to the Sunshine Coast in 2008. In 2010 Scott worked in Kensington, London, as a trainer at a private health club. Scott has had experience training a diverse range of high level teams and athletes including spending time at the Saint Kilda football club to training and preparing national and international athletes for Olympic Games, commonwealth games and world championships. witness the results and achievements of his clients. Scott also competes in natural bodybuilding and half and full marathons. Training and coaching people from all backgrounds has given Simon the ability to develop a rapport and deep understanding of his clients needs. Simon’s personal passion to eat healthy and maintain a high level of fitness becomes infectious for his clients and gives them every opportunity to take ownership of their personal goals. Anthony's very interested in nutrition for fitness and goals are to always assist clients achieve a balanced lifestyle that encompasses all dimensions of health and fitness. Anthony creates a training environment that not only motivates but also empowers individuals to continually challenge themselves. Anthony loves seeing his clients achieve their personal health and fitness goals through a personalised approach of regular fitness activities and guided fitness programs. He has found that his clients achieve maximum results through functional training, which not only increases their fitness and endurance but also provides a friendly social environment. For Ellie there is no greater reward than seeing the reaction on her clients faces when they see progress and are proud of themselves. Ellie is also passionate to change the way many females view themselves. Sadly, there are so many issues in today’s society around body image and eating disorders etc. Ellie knows that through challenging and fun training combined with good nutrition that she can help transform clients and have them achieve and often exceed their goals. Ellie’s preferred training styles are semi private strength training, weight loss, HIIT training and functional movements.  Fill out the form below to grab a free PT consultation with one of our trainers.